St Francis Xavier College, Florey. 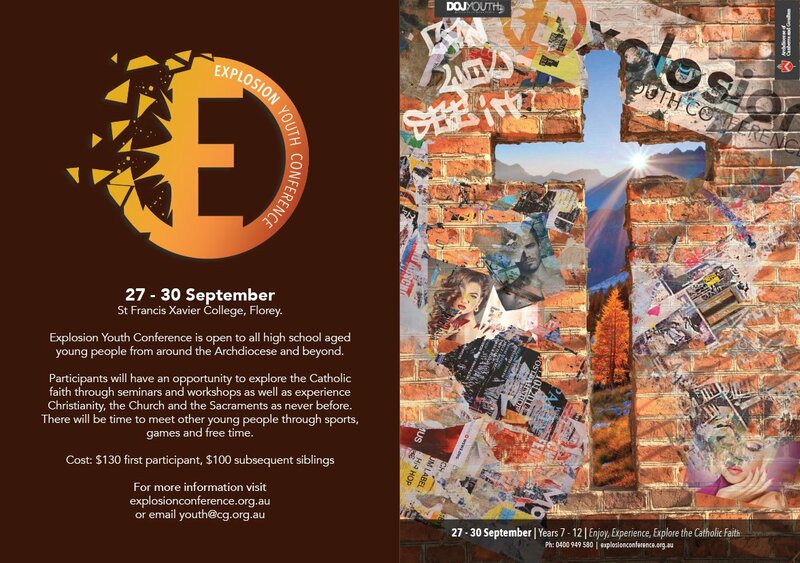 Explosion Youth Conference is open to all high school aged young people from around the Archdiocese and beyond. 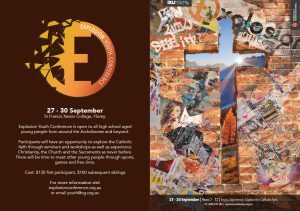 Participants will have an opportunity to explore the Catholic faith through seminars and workshops as well as experience Christianity, the Church and the Sacraments as never before. There will be time to meet other young people through sports, games and free time.